Stevia In The Raw® has sponsored this blog post and has provided product samples for this recipe. All opinions are my own. 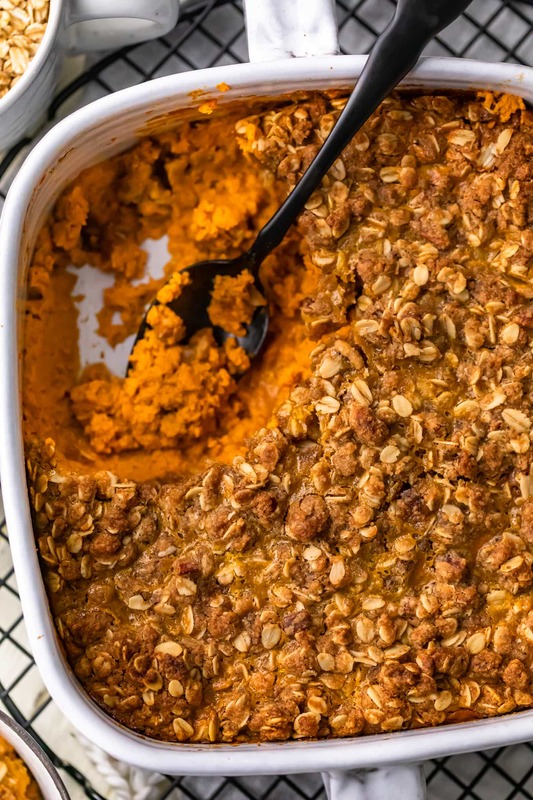 Pumpkin Pie Crumble is the perfect fall dessert recipe. Even better, this easy crumble recipe is sugar free! Make this tasty sugar free dessert for Thanksgiving and beyond! I love a classic crumble dessert. 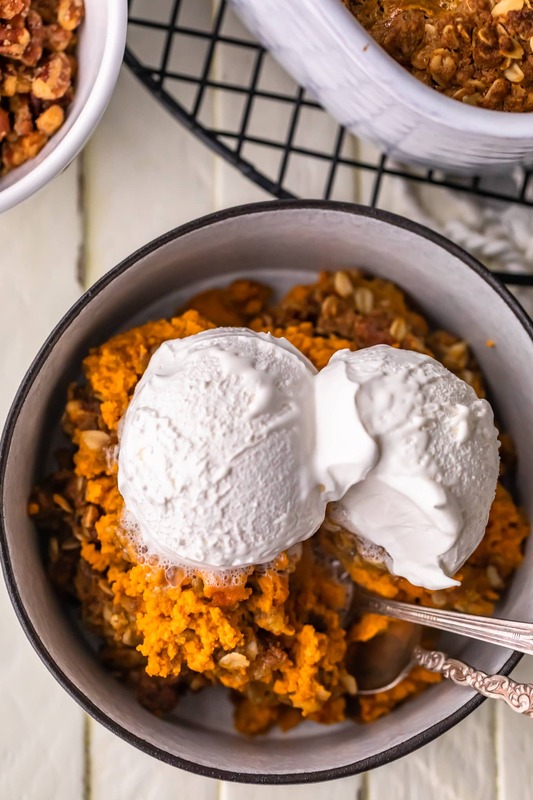 The fruity crumble recipes are great, but this Pumpkin Pie Crumble is the perfect fall dessert recipe! 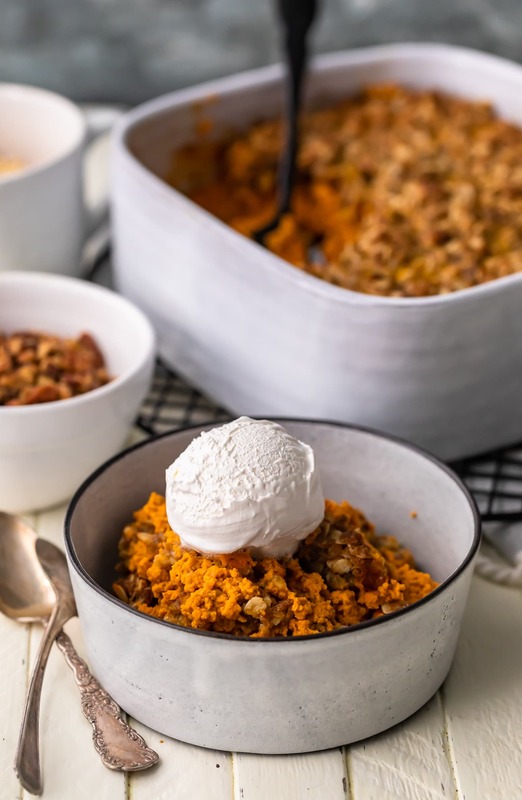 It’s filled with creamy pumpkin and topped with a crunchy crumble topping that is absolutely to die for. Even better, this recipe is sugar free. Instead of pouring in loads of excess sugar, we’re using Stevia In The Raw® to sweeten it up. I used brown sugar for the pumpkin crumble topping, but you can replace that with stevia too. Now you can enjoy dessert this holiday season without the sugar! This easy crumble recipe is just so delicious, and the recipe is simple. There’s not much to it besides a bit of mixing and baking! 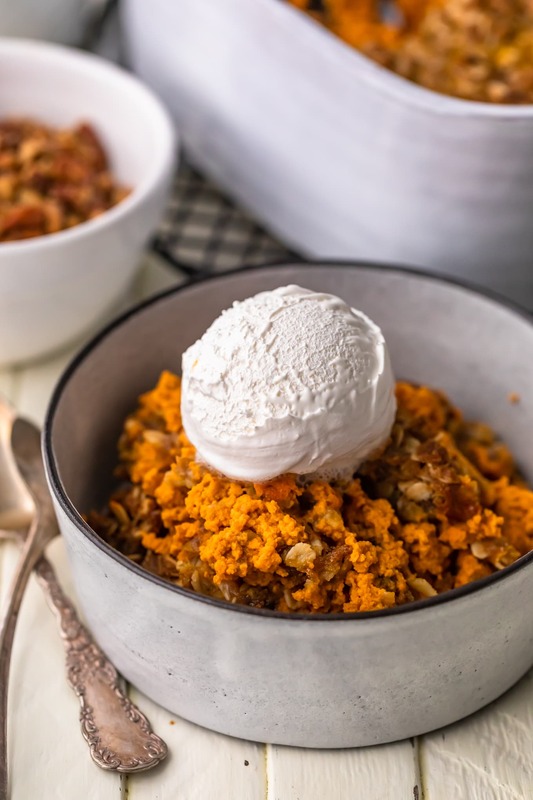 Healthy, easy, tasty…you can’t go wrong with this pumpkin pie crumble recipe! Looking for a sugar free dessert for the holidays? 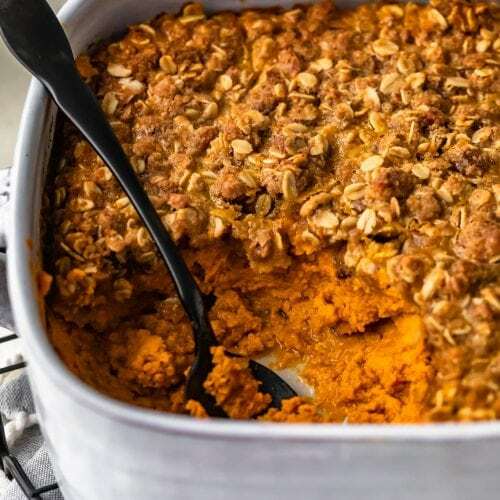 This Pumpkin Pie Crumble recipe is exactly what you need! 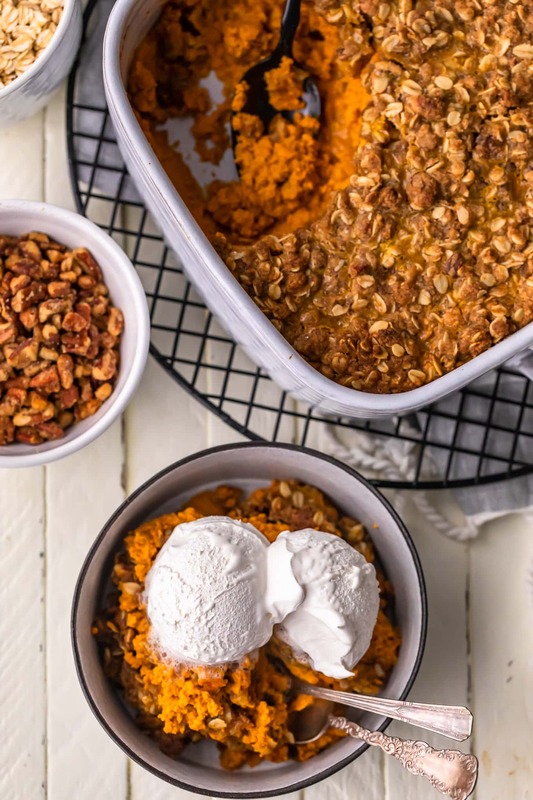 I knew I wanted to come up with some healthy pumpkin desserts for the holiday season, and this sugar free pumpkin pie crumble recipe is the perfect option! With Stevia In The Raw®, it’s never been easier to make holiday baking lighter. 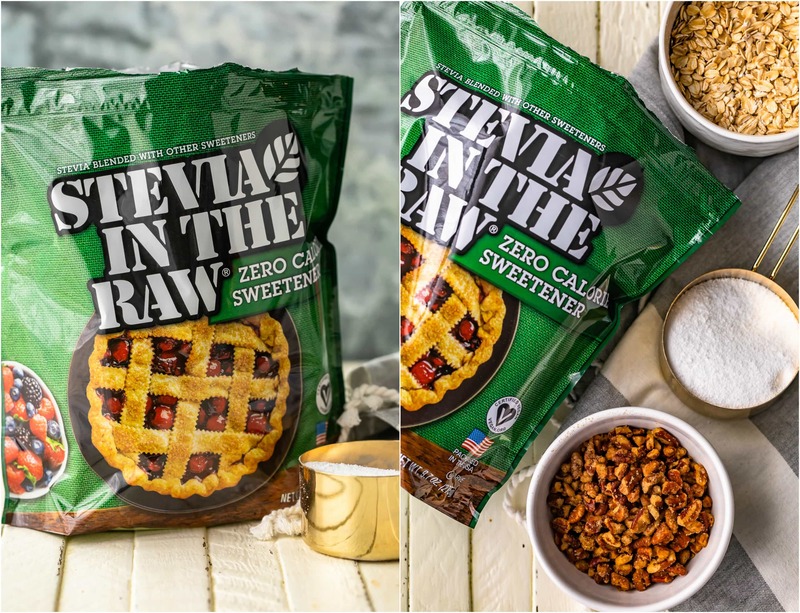 Stevia In The Raw® is a zero-calorie sweetener made from the sweet leaves of the stevia plant, and is absolutely perfect for all your baking needs. 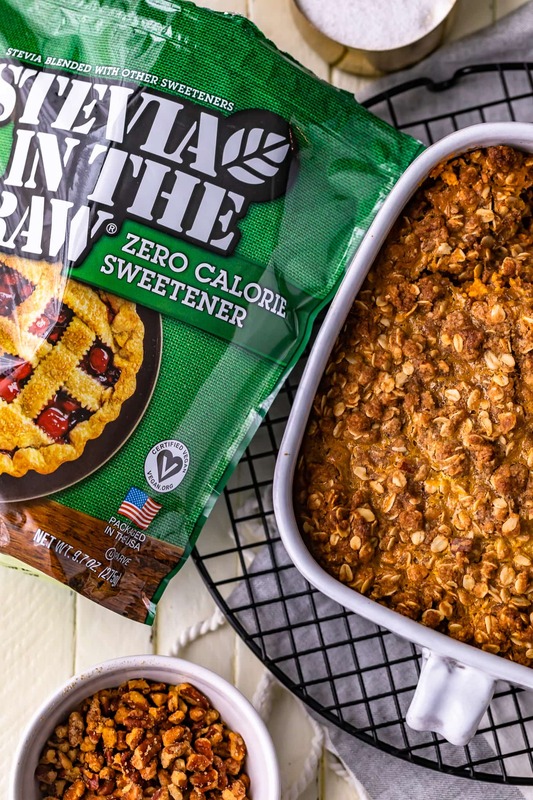 Stevia In The Raw® Bakers Bag measures CUP FOR CUP with sugar…making swapping it out in all your favorite holiday desserts so simple and delicious. I’m obsessed with using it in so many sweets this time of year! Up to 700 calories are saved with every cup that is swapped. Easy, right?? You better check it out! 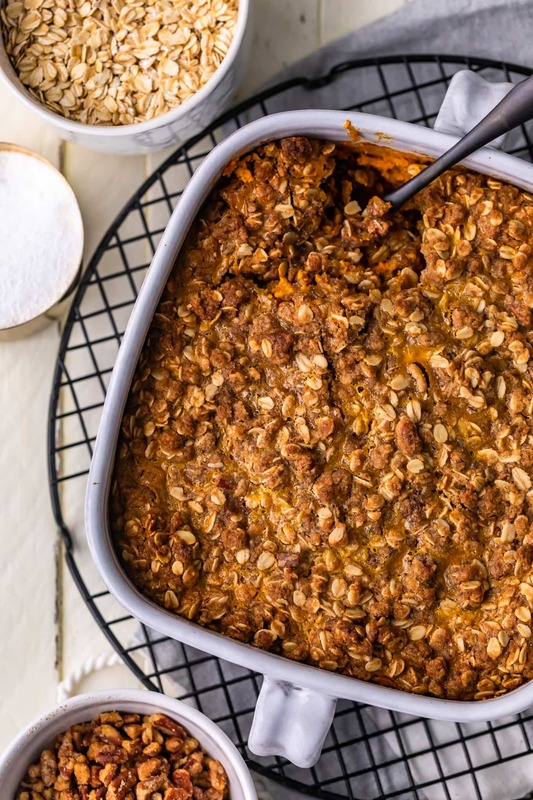 This pumpkin crumble recipe couldn’t be easier! All you have to do is make the pumpkin mixture, make the crumble topping, combine them and bake. Whisk together the pumpkin puree, half and half, eggs, Stevia In The Raw®, pumpkin pie spice, and salt. 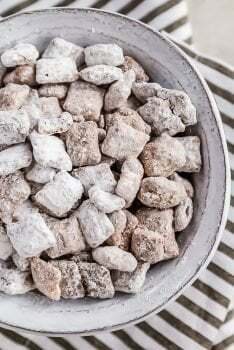 In a separate bowl, combine oats, flour, pumpkin pie spice, and brown sugar (or replace with stevia). Melt butter and stir it into the oat mixture. 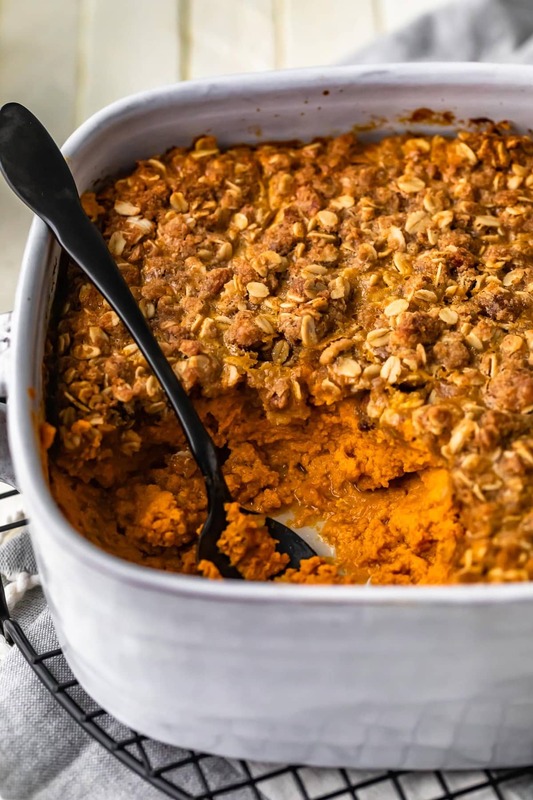 Spread the pumpkin mixture into a baking dish in an even layer, then place the crumble topping mixture on top. I love how warm this crumble recipe is when it comes out of the oven. The creamy pumpkin and crunchy topping mixes so well, and it tastes amazing. Don’t forget to top it off with a scoop of vanilla ice cream or some whipped cream! It wouldn’t be a crumble without the crumble topping! I made sure to add some pumpkin pie spice into the topping mixture to give it its own pumpkin flavor. Perfect for a pumpkin dessert! I used brown sugar in my topping recipe, but if you want a truly sugar-free dessert, you can replace it with more Stevia In The Raw®. This easy crumble recipe is exactly what you need for the holidays. 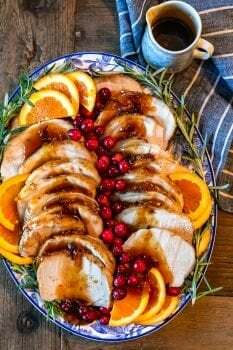 It’s tasty and super easy to make. Happy holidays! See the recipe card below for details on how to make this Pumpkin Pie Crumble recipe. Enjoy! Preheat the oven to 350 degrees F. Spray a 9x13 (or deep 8x8) baking dish with nonstick spray. Whisk together the pumpkin puree, half-and-half, stevia, eggs, 2 teaspoons pumpkin pie spice, and 1/2 teaspoon salt in a large bowl until well blended. In another large bowl, combine the oats, brown sugar (see note), flour, and remaining 1/2 teaspoon pumpkin pie spice, breaking up any lumps of brown sugar with a fork. Melt the butter and stir into the flour mixture until it is completely combined. Spread the pumpkin mixture evenly in the bottom of the baking dish. Pinch the oat mixture onto the top. Bake until golden and full cooked, about 50 minutes. Serve warm with ice cream or whipped cream. Enjoy! NOTE: If you want to make this fully sugar free, substitute 1/4 cup stevia in place of the brown sugar for the topping mixture.